Bilstein B4 Shocks for 2002-2006 R50 MINI Cooper, R53 Cooper S, and 2005-2008 R52 MINI Cabrio. 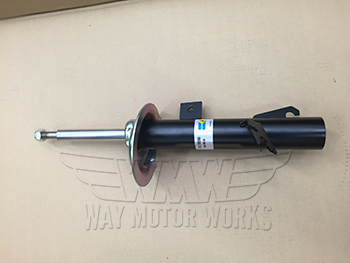 These Bilstein Twintube Gas Shocks and Struts are designed as a direct replacement for the stock shocks and struts. These Bilstein shocks come in black and are valved very similar to stock for oem style performance. With the price point of these shocks they may be the perfect ticket for you. Select options below for location or set.